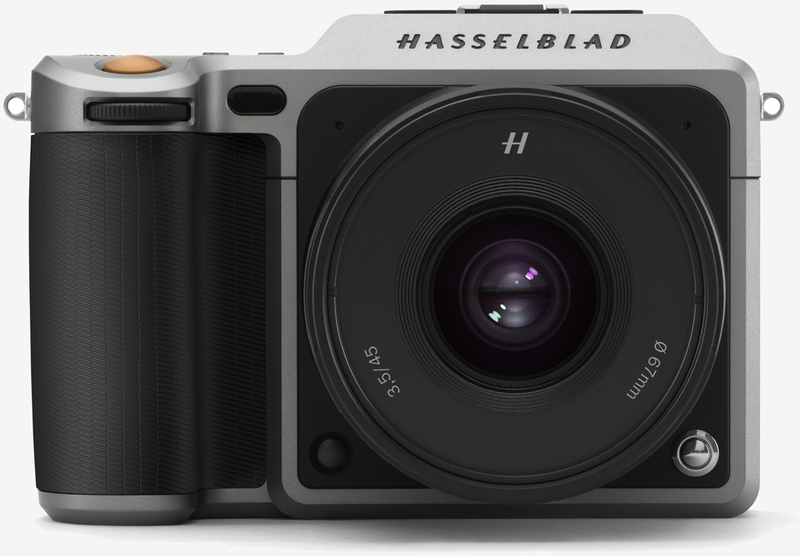 Swedish medium-format camera manufacturer Hasselblad has unveiled the world’s first compact mirrorless medium format camera. The weather and dust sealed Hasselblad X1D features a 50-megapixel CMOS medium format sensor (the same one found in Hasselblad’s full-size H6D system) that offers 14 stops of dynamic range with an ISO range of 100 to 25,600. As PetaPixel highlights, there’s also a Nikon-compatible hot shoe, a 3-inch 920K-dot touchscreen LCD around back, a 2.36M-dot XGA electronic viewfinder, GPS, Wi-Fi, dual SD card slots, a USB Type-C connector and a Mini HDMI port. Some may be surprised to learn that the camera can’t shoot 4K video, instead capable of just 1080p at 30 frames per second (you’ll understand why this is a bit shocking when we get to the price). The X1D is designed to work with a new line of lenses – XCD – although all 12 H System lenses can be used with an adapter. At launch, Hasselblad will offer a 45mm f/3.5 lens as well as a 90mm f/4.5 model. Shutter speeds will range from 1/2000th of a second to 60 minutes with full flash sync down to the 1/2000th mark. Now, the price. The X1D body alone will set you back $8,995. There will also be kit options that include the 45mm lens for $11,290 or both lenses for $13,985. Purchased separately, that works out to $2,295 for the 45mm lens and $2,695 for the larger 90mm glass. That may seem expensive but it's far cheaper than, say, the H6D system, which starts at $25,995. What's compelling about the new X1D is its compact size and weight, measuring just 150.4 x 98.1 x 71.4 mm (5.9 x 3.9 x 2.8 inches) and tipping the scales at 725g (1.6 pounds) without a lens. Either way, this will likely only attract serious photographers with deep pockets. Hasselblad will begin demoing the new system next month before shipments roll out to early adopters in August.